Nigeria’s president has warned his fellow citizens to stop trying to make asylum claims in Britain, saying that their reputation for criminality has made it hard for them to be “accepted” abroad. Muhammadu Buhari, the tough ex-general elected last year, said those who had joined the migrant exodus to Europe were doing so purely for economic reasons rather than because they were in danger. “Some Nigerians claim that life is too difficult back home, but they have also made it difficult for Europeans and Americans to accept them because of the number of Nigerians in prisons all over the world accused of drug trafficking or human trafficking,” he told The Telegraph. Mr. Buhari’s remarks may upset refugees’ rights groups, who claim that the vast majority of asylum cases lodged by Nigerians are genuine. In recent years, many have said they are fleeing Boko Haram, the Islamist terrorist group that Mr. Buhari’s army is now struggling to stamp out in northern Nigeria. However, only around one in ten of the 13,000 asylum claims lodged by Nigerians in Britain in the last 15 years have been accepted. And the claims of persecution appear to cut no ice at all with Mr. Buhari, a headmasterly figure who famously waged a “war on indiscipline” on his fellow Nigerians while serving as the country’s military ruler in the 1980s. Back then, Nigerians could be whipped if they did not stand in line at bus queues, while lazy civil servants were forced to do frog jumps in the office if they arrived for work late. While he has not re-introduced such measures as a civilian ruler, he makes it clear that a minority of his countrymen could still do with improving their behavior. “We have an image problem abroad and we are on our way to salvage that,” he said. Mr. Buhari, 73, made his remarks in a wide-ranging interview during a three-day trip to London, where he was among world leaders attending Thursday’s international conference on the Syrian crisis and the ongoing war on terror. He won power last year on a pledge to take a firmer line with Boko Haram than his predecessor, Goodluck Jonathan, under whose watch the group kidnapped more than 200 schoolgirls from Chibok in Nigeria’s north east in 2014. 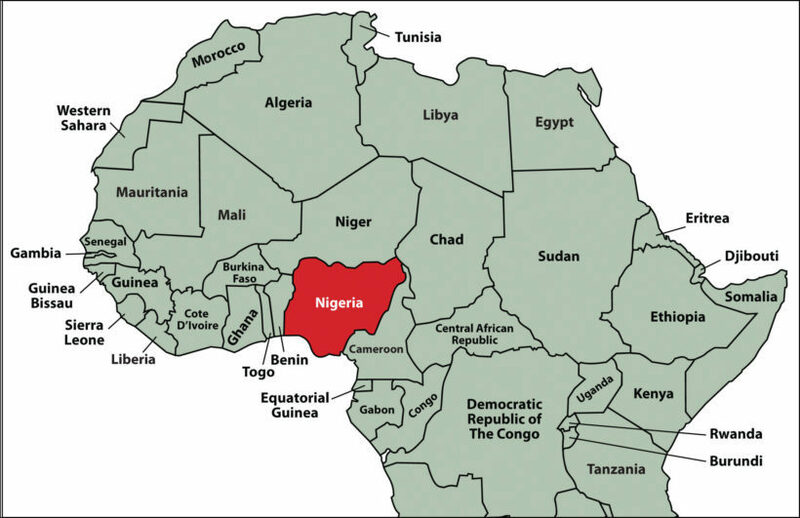 While Boko Haram has lost most of the territory that it controlled until last year, it has continued to mount savage guerrilla attacks, killing 65 people during a raid only last weekend. There is still no sign of the missing girls either, whose plight attracted worldwide publicity via a celebrity-backed social media campaign. A new flood of Syrian refugees that some predicted could swell to 75,000 rushed to the Turkish border Saturday, fleeing advancing armies loyal to Syrian President Bashar al-Assad and intense Russian airstrikes pounding the city of Aleppo and nearby towns. Turkish Foreign Minister Mevlut Cavusoglu said his country would continue to keep its borders open to those fleeing the fighting, but there was some question about how open the borders actually were. Reports from the rainy border Saturday said Turkey was trying to find space in existing refugee camps as Assad’s forces closed in on rebels in Aleppo, Syria’s second-largest city. But the border crossing at Bab al-Salam — a main crossing point for refugees and humanitarian aid — remained shut Saturday for a second day, The AP reported. Reports said tensions among the growing numbers of refugees waiting on the border were rising by the day. On Saturday, groups of young men clashed over access to the small amounts of relief handed out by aid groups. As thousands waited in the rain for their share of scarce tents and food, the atmosphere turned hostile, with outbreaks of arguments and jostling. 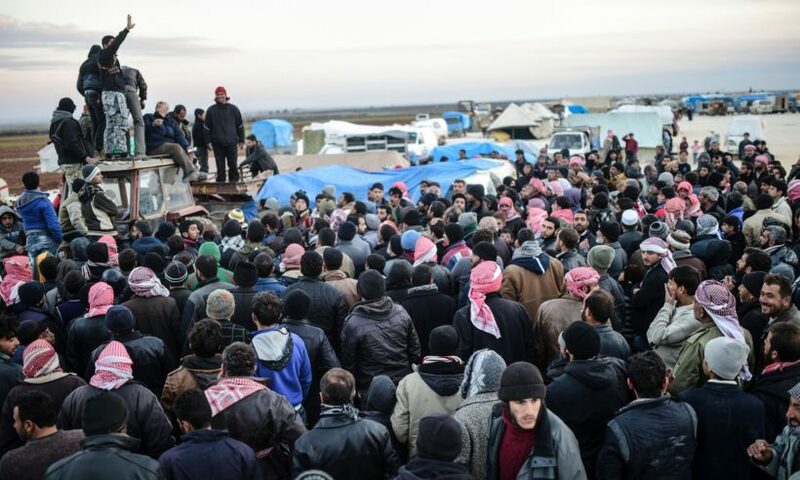 More violent protests erupted after rumors spread that the Turkish government was planning to move those waiting away from the border point to a camp near the ISIS front lines, just five miles to the east and still inside Syria. More than 1,000 people are waiting there – at the villages of Shemarin and Hawar Kilis – hoping to cross illegally under the cover of darkness. Syrians gather at the Bab al-Salam border gate with Turkey, in Syria, Saturday, Feb. 6, 2016. 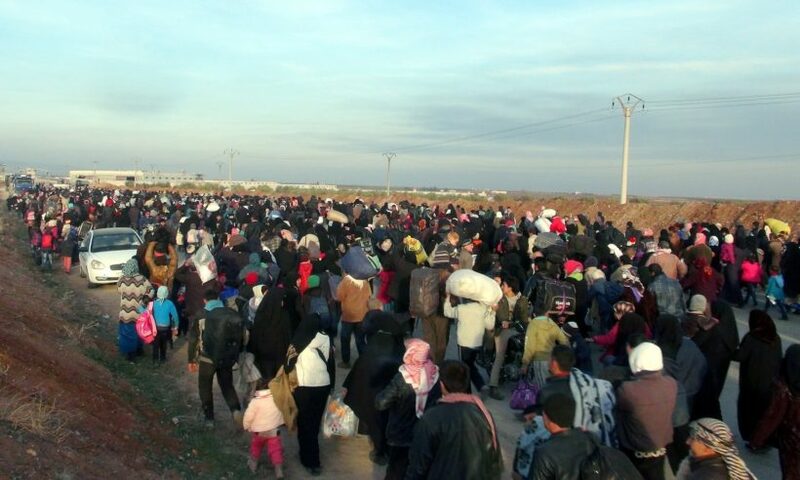 Tapsiz said around 35,000 Syrians had reached the border crossing in the space of 48 hours. “Our doors are not closed, but at the moment there is no need to host such people inside our borders,” he said. Some 2.5 million refugees from Syria are already in Turkey. More than a million other migrants, largely Syrian, swept into the 28-nation European Union last year. Some of those who entered Europe are believed linked to ISIS, and may have traveled with the ringleader of the Paris attacks. Controlling access to Aleppo will prove a powerful bargaining chip for Assad in political negotiations through which the UN hopes to achieve a “road map to peace,” including free and fair elections next year. Talks in Geneva had barely started when they fell apart Wednesday as regime-backed forces advanced into the northern suburbs. Opposition representatives left in disgust. SEOUL, South Korea – Defying warnings of tougher sanctions from Washington, North Korea launched a rocket on Sunday that Western experts believe is part of a program to develop intercontinental ballistic missile technologies. 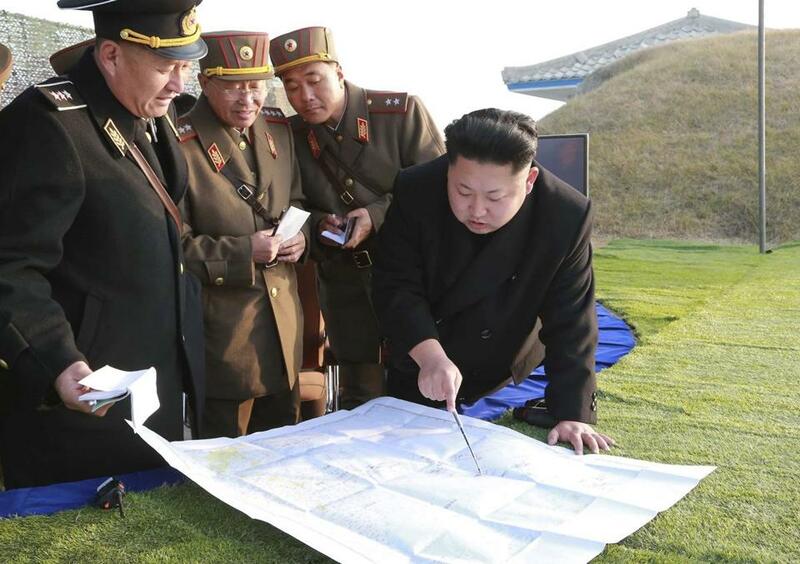 In this undated photo, North Korean leader Kim Jong Un directed his top military leaders (who always carry notebooks to make notes of Jong-un’s words of wisdom). The rocket blasted off from Tongchang-ri, the North’s main satellite launch site near its northwestern border with China, a spokesman for the South Korean Defense Ministry said. 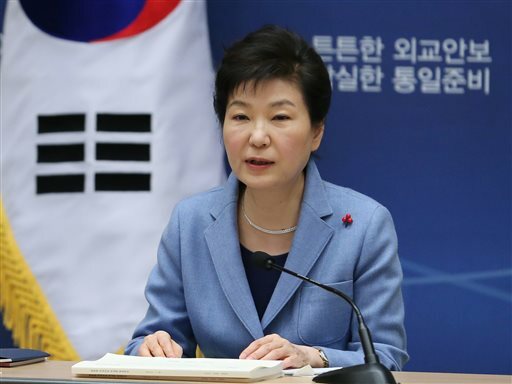 President Park Geun-hye of South Korea called an emergency meeting of top national security advisers on Sunday to address the launch, her office said. South Korea, the United States and Japan also requested an emergency meeting of the United Nations Security Council. The United States and allied nations had condemned North Korea’s plan because they consider its satellite program to be a sort of cover for developing an intercontinental ballistic missile capable of delivering a nuclear bomb. Under a series of Security Council resolutions, North Korea is prohibited from developing nuclear weapons or ballistic-missile technologies. 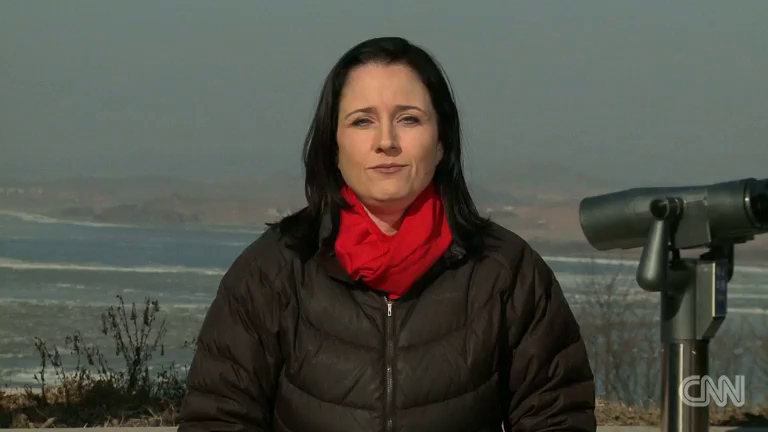 Sung-Yoon Lee, a professor at the Fletcher School of Law and Diplomacy at Tufts University, said the North Korean leader Kim Jong-un, whose family has ruled the country for seven decades, wanted to show off advances in his missile and nuclear programs just before the Feb. 16 birthday of his father, Kim Jong-il, who died in 2011. Pyongyang has timed some of its earlier nuclear and rocket tests to major national anniversaries. North Korea insists its space program is peaceful, intended to put scientific satellites into orbit. It has attempted several launches since 1998, finally succeeding in putting a small satellite into space in 2012. But the United States and its allies consider the program a pretext for developing technologies that can also be used to build an intercontinental ballistic missile. 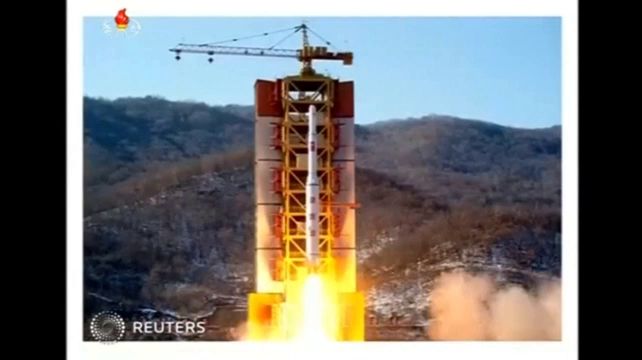 The North’s launch of a three-stage rocket on Sunday, after a similar test in 2012, showed that the country was determined to acquire them despite sanctions imposed by the Security Council. Hours after the North declared the success of its launch on Sunday, the United States and South Korea jointly announced that they had begun discussing deployment of the American Thaad ballistic missile defense system. China, South Korea’s largest trade partner, has warned it would consider the system’s presence in [South Korea] a threat to [China’s] security. b) For what reason did President Buhari say Nigerians are making asylum claims? 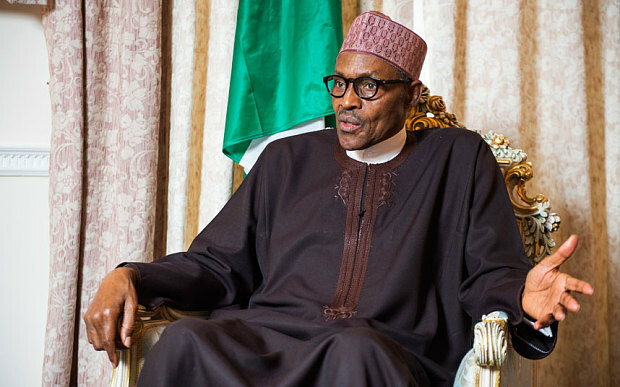 d) What suggestion does President Buhari make for what Nigerians should do? b) What challenges do Syrian refugees face once they are admitted to Turkey? c) What motive does the Turkish government have for preventing Syrians from crossing through Turkey into Europe? b) What is the real concern the U.S., South Korea, the U.N., etc. have about this rocket launch? As of October 2015, Syrian refugees were not allowed to work legally in Turkey. Some families said they are forced to make their children work illegally just to scrape by. Turkey’s 26 refugee camps can host 330,000 people but housed only 274,000 as of October. Families there receive $40 per person per month for food, on credit cards valid only at the on-campus supermarket. Some can join classes such as carpet-weaving, with profits shared between participants. Ankara’s [the Turkish government’s] vision remains the creation of a safe zone in northern Syria where refugees could return, an idea which gained little international traction even before Russia’s decision in September 2015 to send jets to Syria, making enforcing the necessary “no-fly zone” even more difficult. The Turkish government has been weighing plans to make it easier for Syrians to earn a living, but it has been hampered by a domestic unemployment rate of about 10 percent as economic growth slows. Hundreds of thousands of Syrians and other foreigners work illegally for low wages, but only 7,300 work permits have been issued. Under new legislation, refugees will be able to apply for a work permit specific to their place of registration six months after they register there. Refugees under temporary protection can work within the refugee community in Turkey, for example as doctors or teachers in camps. Deputy Prime Minister Numan Kurtulmus said the “draft” regulation has been adopted by the council of ministers and will be published in the coming days. 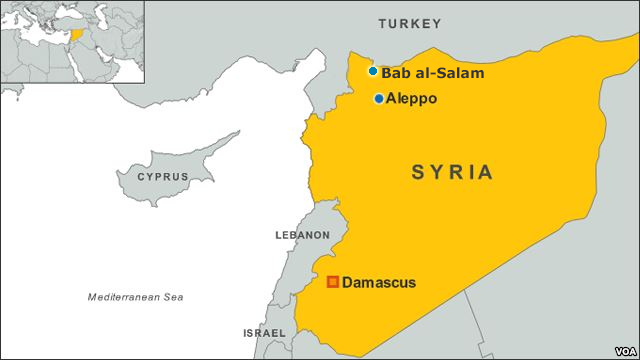 Employers will be able have Syrians comprise up to 10 percent of their staff, although this condition may be waived by provincial governors in certain cases. Turkey, which aspires to join the EU (European Union), struck a deal with the bloc in November to prevent migrants from traveling to Europe in return for 3 billion euros ($3.3 billion) in cash, a deal on visas and renewed talks on joining the 28-nation bloc. Turkey plans to offer Syrian refugees work permits to discourage them from crossing illegally into the EU, Ankara’s minister for European Affairs said, amid EU pressure to reduce the flow of migrants. Volkan Bozkir was speaking after meeting European Commission Vice-President, who the week before said the European Union was far from satisfied with Turkey’s efforts to prevent migrants from crossing the Aegean Sea to Greece. “We are trying to reduce the pressure for illegal migration by giving Syrians in Turkey work permits,” Bozkir told reporters in Ankara. 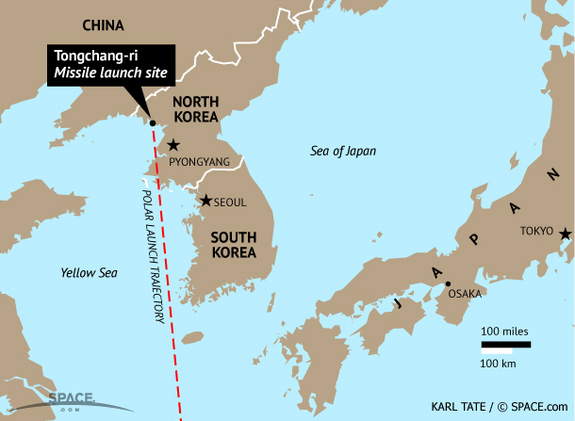 The Unha rocket used to launch North Korea’s last satellite is believed to be based on the Taepodong long-range ballistic missile, which has an estimated range of around 5,600 miles.